Dominican cuisine is the result of Spanish and African influences. The typical national dish is sancocho, a stew that combines different meats, beans, plantains and yams. 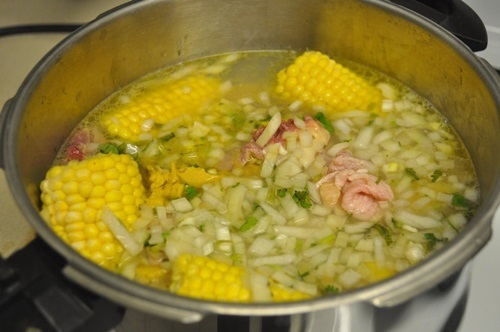 Dominican “Sancocho” is considered one of the national dishes. 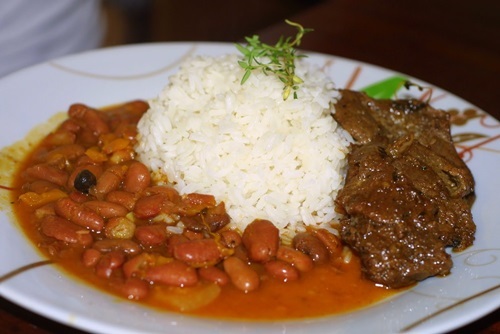 It consists of white rice, red beans and usually chicken. There is a variant called Sancocho cruzado or Sancocho de siete carnes which includes chicken, beef and pork along with other meats. “Sancocho de siete carnes” means “Seven meat Sancocho,” and is considered the ultimate sancocho dish. Sancocho de gallina (hen sancocho) is also a popular dish and is often prepared for special occasions. One of our best known meals, lovingly named “la bandera” (the flag) consists of white rice, beans, meat, vegetables and fritos verdes (green plantains or tostones). Other specialties include “El mangú”. 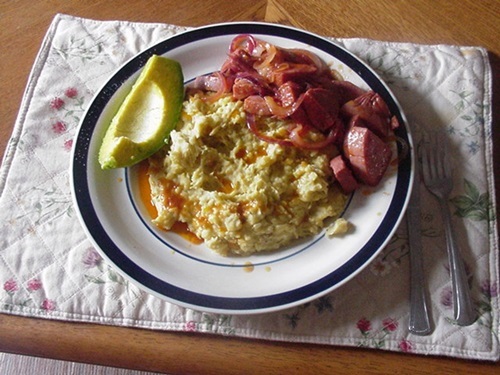 Mangú is a Dominican traditional side dish served for breakfast, lunch or dinner. Mangú is made up of boiled green plantains. The plantains are then mashed with the water it has been boiling in. It is topped with sauteed onions and deep-fried salami, deep-fried cheese, fried eggs or avocado. Popular sweets include Jalao de Coco y Melao and many sweets made from exotic fruits like papaya guayaba etc. 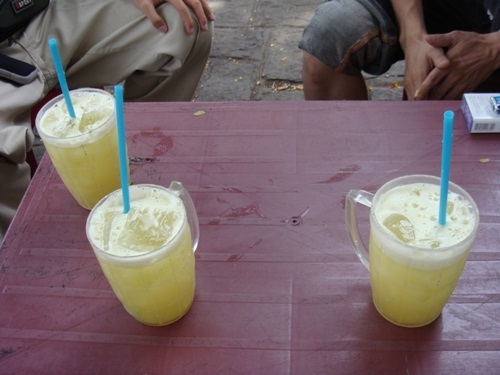 Popular non alcoholic drinks include jugo de la caña ( juice of raw sugar cane), various juices from tropical fruits and of course a coconut water. Note: Between April 1st and July 31st it is prohibited by law to fish for lobster in the Dominican Republic. The reason for this is to protect lobster during their mating season, so you will only be able to get imported lobster during this time.